Location: Meudon, in the Hauts-de-Seine departement of France (Ile-de-France Region). 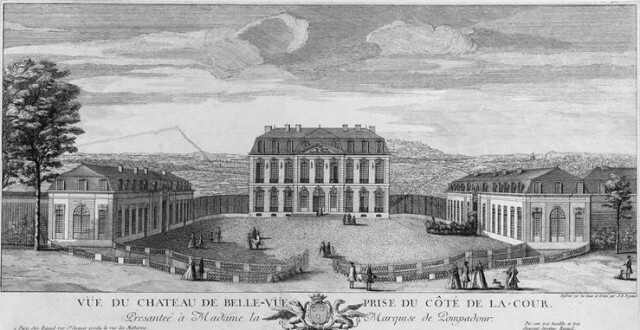 Notes: Château de Bellevue also called the royal castle of Bellevue, was a castle built in the mid-eighteenth century for Madame de Pompadour in Meudon (Hauts-de-Seine), on the edge of the plateau overlooking the Seine. His condition apogee coincided with the entire second half of the eighteenth century. It should not be confused with the castle of Meudon neighbor. Today, it remains only a few vestiges.